ReStart is an agile and innovative provider of real-time, Open Technology solutions for the healthcare market. ReStart was formed in 2003 and has worked in over 60 NHS Trusts delivering services and solutions ranging from 24/7 integration support to complex EPR and PAS migrations and Integrated Digital Care Record programmes. ReStart’s three lines of business are standalone, and deal with very different aspects of the NHS interoperability challenge. Combined; they provide a complete solution for NHS Trusts seeking to deliver cost-effective integrated care provision. ReStart is powered by the belief that healthcare providers require real-time information to enable safe decision-making at the point of care, and is pioneering this ethos in today’s healthcare market. ReStart’s second generation real-time information platform, Viper360® is a game-changing example of how healthcare organisations can cost-effectively deliver true, integrated care. Real-time information, a modular approach, rapid deployment and Open Technology, enhanced with ReStart’s strong integration heritage and support capabilities, is providing health and social care organisations with an alternative option to the traditional EPR, best of breed and clinical portal routes. Insight UK is a leading provider of IT products and services committed to helping our business run smarter. Insight UK provide a team with the experience, intelligence and right IT solutions to help you make strategic business decisions. This helps you scale faster, optimise your investments and reach your goals. InterSystems Ensemble® provides advanced integration technology for rapid completion of messaging projects, and for development of new connected applications. Ensemble combines HL7 messaging with support for additional protocols, such as X.12 and SOAP, and advanced integration and development capabilities that enable you to create a connected care environment. InterSystems has over 30 years of experience as a healthcare informatics specialist providing advanced technology. PCTI Solutions is the leading supplier of advanced Electronic Document Management, workflow and transfer solutions for primary, secondary and social Healthcare organisations. Established in 1993, PCTI has a wealth of healthcare experience and has provided software solutions for over 5,500 GP Practices and 50 NHS secondary care organisations. The systems deployed are responsible for maintaining detailed records for over 20,000,000 patients and managing 3,000,000 items of patient correspondence every week. 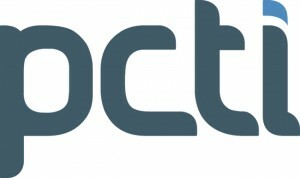 PCTI’s flagship products include Docman, the UK’s leading healthcare Electronic Document Management and Workflow solution used by more than 5,500 organisations and EDT Hub, an enterprise electronic document transfer solution joining up health and social care. to implement a Medical Interoperability Gateway (MIG) to facilitate the sharing of patient data between healthcare professionals in primary and secondary care. The MIG is a secure gateway to a set of services for exchanging data between third party systems and GPs using EMIS and INPS systems. Secure data exchange through the MIG will keep GPs and clinicians in any healthcare setting up to date with the latest patient information, enabling to make informed decisions at the point of care. ReStart’s role is to provide the integration between the MIG and the Trust Integration Engine (TIE) by creating a ‘Connector’ that enables the seamless flow of information.